Pokemon Go is a sophisticated new twist for smartphone applications. It’s a game that uses your location, courtesy of the trainer’s GPS, to accurately represent Pokemon in your environment. In other words, the Pokemon you can see is dependent on the location you live in. This probably sounds a little bizarre, but this is an accurate reflection of how Pokemon Go actually works. It means trainers can be smart: using their knowledge of what Pokemon they desire and then traveling to a destination where they’re likely to encounter that Pokemon. But this also comes with other advantages, too. It’s worth remembering that Pokemon Go is about scouring the environment to catch, train, and evolve the best Pokemon. With this scouring comes great personal benefits, such as increased exercise and cardiovascular advantages. And nor is this a small point, as it should serve as some form of motivation in your endeavor to catch ’em all. 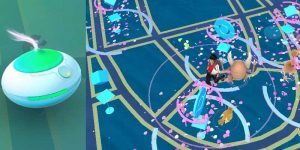 This is the special thing about Pokemon Go – that it has the ability to represent the environment as well as serving as a means for trainers to gain exercise in the real world. 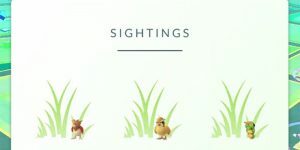 In this guide, we’re going to take a closer look at the environmental factors that influence where and when you can catch certain types of Pokemon. It’s a strategy that, when implemented, can reap enormous dividends in your search for Pokemon. So you’ve just downloaded Pokemon Go and aren’t too sure what Pokemon categories exist, let alone how you’re supposed to play the game. With so much to learn, where should you begin? The best place to start is to understand that there are different families of Pokemon. Just as in the natural world where there are vertebrates, invertebrates, fish, and mammals, there are also categories of Pokemon in this game. For example, there are 18 different classes of Pokemon, each of which reveals part of the intrinsic nature of that Pokemon. These classes include fire, water, grass, and psychic. As you might expect, a fire Pokemon, such as Charizard, is more effective against grass Pokemon, such as Bulbasaur. Other Pokemon classes include rock, electric, poison, ice, and flying. These are not only attributes specific to those Pokemon, but it also reveals something about where those Pokemon are likely to reside. It also reveals the moves that certain Pokemon have. For example, psychic-based Pokemon are not effective against ghosts. 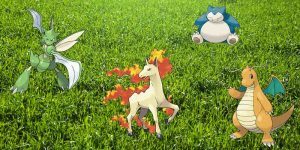 Fire-based Pokemon have fire-based moves, sometimes very powerful fire-based moves, which can prove to be very effective against grass-based Pokemon. So trainers need to think about their environment from a different perspective. Yes, they should catch Pokemon based on their surroundings, but they should also consider the potential moves that those Pokemon have. How do these moves influence your ability to battle at gyms, for example? Are you, when placed in battle, finding yourself wishing to have particular moves to battle against a certain Pokemon type? These are the types of questions you should think about when contemplating Pokemon types in your local environment. 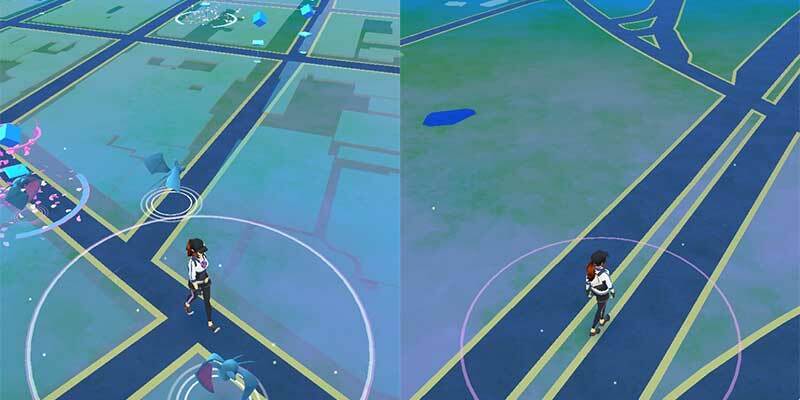 The developers at Pokemon Go have installed hardware that subdivides your local environment into biomes. A biome is a part of the environment that has a defined characteristic. This characteristic could be anything from a building or park or even something like a cemetery or lake. It is from these biomes that you can begin to think about where certain Pokemon are likely to reside. Think about it from a logical perspective: if you were looking for a Rattata, are you more likely to find this Pokemon (a rat-based creature) in a deep lake, a church, or an obsolete building? Once you begin to think about the essential characteristics of each Pokemon, you can figure out where these Pokemon are most likely to be found. It is to this question that we now turn. Now that we have some clarity on Pokemon types, we can now deal in more detail with the specific sites where these Pokemon can be found. We will go through the main types of Pokemon to give you a clear idea where and when certain Pokemon can be found. One of the main categories of Pokemon is called ‘normal’ Pokemon, examples of which include the aforementioned Rattata, Pidgey, and Eevee. Statistics show that there are 22 ‘normal’ Pokemon (out of a maximum of 151) featured in Pokemon Go. These Pokemon can be found almost anywhere, a ubiquitous type of Pokemon if you like. Whether you’re in the local park, in your car, or even in the bathroom – you’re guaranteed to find normal Pokemon at some point. Other examples of the ‘normal’ Pokemon type include Fearow, Meowth, and Snorlax. Fire Pokemon (12 examples), too, are quite a popular choice – but don’t go traveling to your nearest volcano anytime soon! Fire Pokemon include Vulpix, Arcanine, Magmar, and Charmander. They’re more likely to be found in drier environments, such as beaches, and in some residential areas. Water Pokemon can, as you might expect, be found next to places such as rivers, lakes, and streams. Examples of water Pokemon include Squirtle, Cloyster, Magikarp, Horsea, and Lapras. In all, there are 32 examples of water-type Pokemon in the game. Let’s go through some other types: ghost Pokemon (such as Gastly and Gengar) are more likely to be found in churches, parking lots, and cemeteries, whereas psychic Pokemon, such as Abra, can be found in and around hospitals but also some residential areas, too. Flying types, like Pidgeot, can be found in open spaces – but may also be found in places such as forests and woodland. Steel Pokemon, on the other hand, are more likely to be found within building structures or next to railway stations. Examples of steel Pokemon include Magnemite. There are also poison-based Pokemon, too, such as Venonat and Koffing. These may be found at ponds and marshes, though they have also been found at industrial parts of large cities, too. It’s important to note that there are no fixed rules and that some Pokemon may appear at any place, anytime. 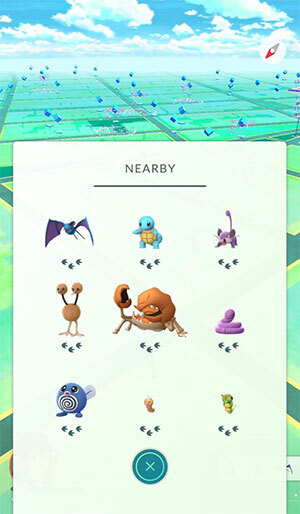 Looking for dragon Pokemon, such as Dratini? If so, you might want to head to a prominent landmark! Trainers seeking out fairy Pokemon, like Clefairy, should jet down to their local cemetery, while ‘fighting’ Pokemon, such as Machop, can be found located next to gyms and fighting centers. And that’s basically it! You have probably gathered by now that the environmental location of any given Pokemon reflects their inner characteristics. With a bit of experience, and some common sense, you’re sure to find the type of Pokemon you want at the geographical locations you expect. 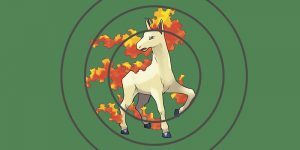 What Do Rustling Leaves Mean In Pokemon Go? 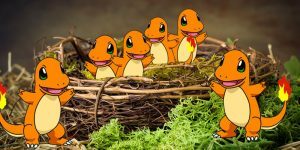 What is a Pokemon Go Nest & Where Are They? 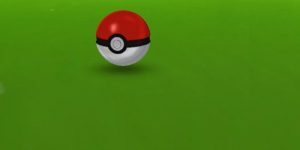 Freezing Pokeballs? We’ve Got The Fix. --THIS IS AN UNOFFICIAL FAN SITE—Pokemon-World.com is not affiliated in anyway with Pokemon or any of its rights owners, agents, or any related entity. 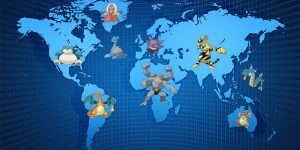 All intellectual property rights in and to Pokemon, Pokemon Go and other related titles, off-shoots, derivative works, etc… are owned by their respective rights owners including, but not limited to, Pokemon Co. / Nintendo / Creatures Inc. / GAME FREAK inc., including copyrighted images and trademarks. Pokemon-world.com and Lemonade Dragon, LLC are not affiliated with Pokemon or its various rights owners in any way.